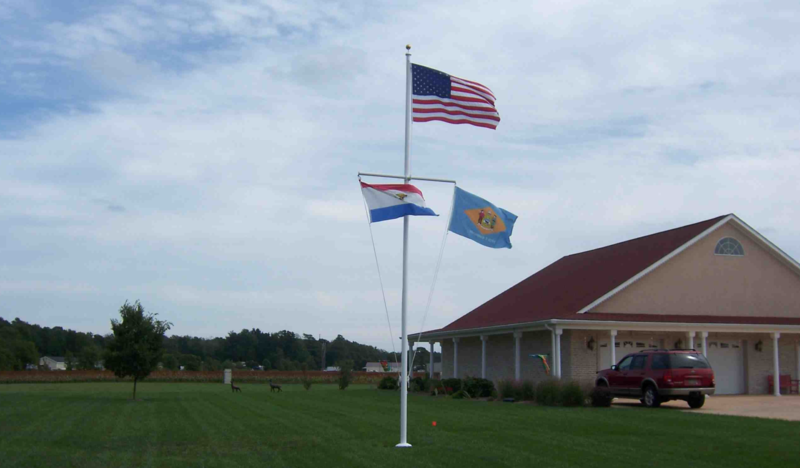 Display the colors proudly with a maintenance-free fiberglass flagpole from First State Flag. 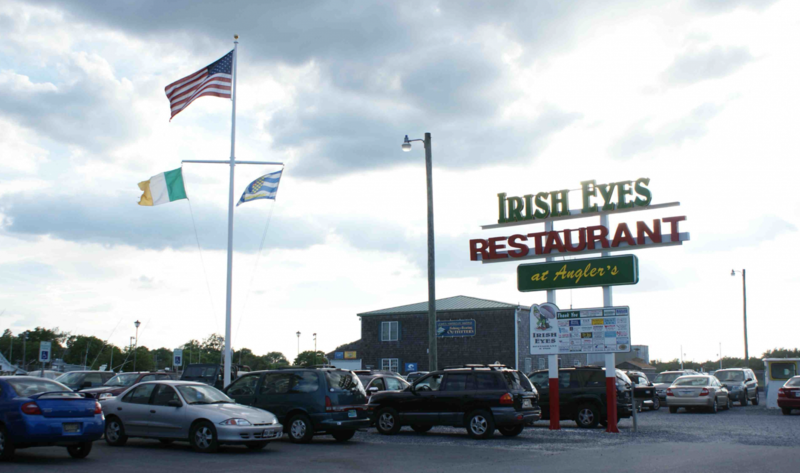 These lightweight 15, 20 and 25 foot flagpoles are free standing, solid and made to last for years. Designed for easy ground installation, they feature a white high-gloss surface with a gold anodized ball on top. The one piece flagpoles are non-conductive, non-corrosive and come complete with accessories and instructions. First State Flag installs a full line of flagpoles for every commercial and nautical application, including standard ground set poles 25′ to 100′ with both internal and external halyard systems, outrigger, vertical wall mount and nautical poles with yardarms and yardarm/gaffs. Anchor-base and tilt-base poles are available in certain sizes. Poles come complete with all accessories including the truck assembly, gold anodized ball, halyard, cleat, snap hooks, flash collar and groundsleeve. Standard colors include white, bronze and black. Specific colors can be custom matched. First State Flag Commercial poles offer long lasting, maintenance-free beauty. White poles are high gloss with a urethane finish. Bronze and black poles are available in a satin brush acrylic finish. We Supply The Lewes, Sussex County, and Confederate Flag!